The island of Cyprus is a small nation state which comprises six cities: Nicosia, the capital and largest urban settlement on the island, currently divided into north Nicosia and south Nicosia by a UN buffer zone, Famagusta, Kyrenia, Larnaca, Limassol and Paphos. All cities, except for Nicosia, are coastal cities and their population varies between 20,000 (Kyrenia) and 320,000 (Nicosia, including both north and south) as of the 2011 census. While all cities have a long history and developed as early settlements during either the Bronze Age or Classical times, their turning point as urban settlements, with the exception of Paphos, came with the arrival of the Frankish rule at the end of the 12th century. Small forts and Byzantine churches were the key landmarks of Cypriot cities prior to the rule of the Lusignans who developed fortifications and constructed large Gothic churches. The Lusignan period is generally seen a period of socio-economic and cultural development of the island, in particular of its main port of Famagusta and the capital of Nicosia. The core structures of Cypriot cities as they can still be identified today, take their shape during the medieval period. When the Republic of Venice assumed control of the island, city walls and forts were rebuilt and extended, in particular those of Famagusta, Kyrenia and Nicosia. During this period, the internationally best-known Cypriot cities of Famagusta and Nicosia acquired their key features which remain up to today: Othello’s Castle in the former and the ‘ideal’ star-shaped fortifications with its eleven bastions in the latter. ​Following the Ottoman conquest of the island (1571-1878), Nicosia and Famagusta remained the key administrative and commercial centres respectively. In terms of urbanisation, growth and development, most of the Ottoman period was a phase of stagnation: previous public and religious buildings were reused and residential construction took place to accommodate both the Ottoman ruling classes, soldiers who had fought in the conquest and later workers and craftsmen brought from Anatolia. However, expansion of the cities and infrastructure works remained limited as much of the population lived in villages across an island whose economy was based on agricultural products. Cities started to become denser and urban development was initiated during the latter part of the 19th century with proto-industrialisation. However, it is only with the start of British administration and full industrialisation that cities begun to slowly develop into modern urban settlements until the beginning of the 20th century when physical and social changes brought momentum in development. Aside of industrial development itself, the stationing of British troops on the island, as well as the settling of other British classes and the construction of various pieces of infrastructure, all contributed to urbanisation. Infrastructure works included improvements to the road system, the relocation of industrial uses at the periphery of cities and the establishment of shipping and communication facilities (Luke 1965). In Nicosia, British administrators had early on in their rule placed their offices, as well as some residences, south and south-west of the walled city. By the 1930’s some wealthy Greeks had followed the example of the British, moving southwards, out of the walled city. During this time, new industries and other business as well as residential development started appearing in the peripheral areas of cities (Peristianis et al 2003). This process was accentuated during the 20th century when two significant waves of urbanisation occurred in Cyprus. The first was in the 1920s, due to a fall in agricultural prices leading to high numbers of young men from rural areas moving to the cities in search of work in the developing industrial sectors (Lavender,1962). The second, occurred after World War II when large numbers of young men returned from service and settled in the cities. Internal migration from rural areas continued through the 1950s and 1960s as the economy boomed, in parallel with industrial and societal changes. A preference for the development of detached homes was developed by the middle class during this time. A few apartment blocks were also developed. Despite economic prosperity, this period was also one of strife and division, with the two main communities on the island becoming increasingly segregated; these developments were reflected in residential distributions across the cities and had spatial consequences; for instance, throughout this period the number of mixed villages kept declining – from 346 in 1891 down to 114 by 1960. Increasingly the island’s main communities chose to live close to their co-nationals. As Attalides points out, “each community on the whole concentrated its residences around the focal points of the school and the church or mosque respectively” (Attalides, 1981). Nicosia was gradually divided into two areas, not by a physical boundary (a river) as in Ottoman times, neither by a commercial street, as in British times, but by an arbitrary military line (initially drawn, by a British officer, on a map), named the “Green Line”. Following the 1974 war, Cypriot cities saw an unprecedented growth due to population exchanges, internal displacements and migration flows. This led to fast, poorly-planned residential development across all cities, especially Nicosia, Famagusta and Kyrenia. Fast and unplanned tourist developments also took place in the relatively undeveloped cities of Limassol and Paphos, in an attempt to boost the island’s economic prospect. In the late 1970s and 1980s, the greatest portion of development in the southern part of the island comprised both private and refugee housing in the peripheral areas of the cities, coupled with the deployment of new road infrastructure, including the motorway. The port cities of Kyrenia and Famagusta on the other hand, experienced a decrease in trading activities resulting in a large number of empty building stock. During this period, historical city centres declined due to the focus put on housing development and tourist infrastructure in coastal cities; it was not until the 1990s and 2000s that regeneration plans were drawn. Conzen, M. P. (2009). How cities internalize their former urban fringes: a cross-cultural comparison. Urban Morphology, 13(1), 29-54. Conzen, M. R. G. (1960). Alnwick, Northumberland: A Study in Town-Plan Analysis Transactions and Papers (Institute of British Geographers) (Vol. 27, pp. iii+ix-xi+1+3-122). London: Institute of British Geographers. Darin, M. (1998). The study of urban form in France. Urban Morphology, 2(2), 63-76. Hillier, B. (1996). Space Is the Machine: A Configurational Theory of Architecture: Cambridge University Press. Hillier, B. (2002). A theory of the city as object: or, how spatial laws mediate the social construction of urban space. Urban Des Int, 7(3-4), 153-179. Hillier, B. (2009). The city as a socio-technical system: a spatial reformulation in the light of the levels problem and the parallel problem. Paper presented at the Conference on Spatial Information Theory, Aber‘wrach, Brittany. Hillier, B., & Hanson, J. (1984). The Social Logic of Space. Cambridge: Cambridge University Press. Hillier, B., Penn, A., Hanson, J., Grajewsky, T., & Xu, J. (1993). Natural movement: or, configuration and attraction in urban pedestrian movement. Environment and Planning B: Planning and Design, 20, 29-66. Hillier, B., & Vaughan, L. (2007). The City as One Thing. 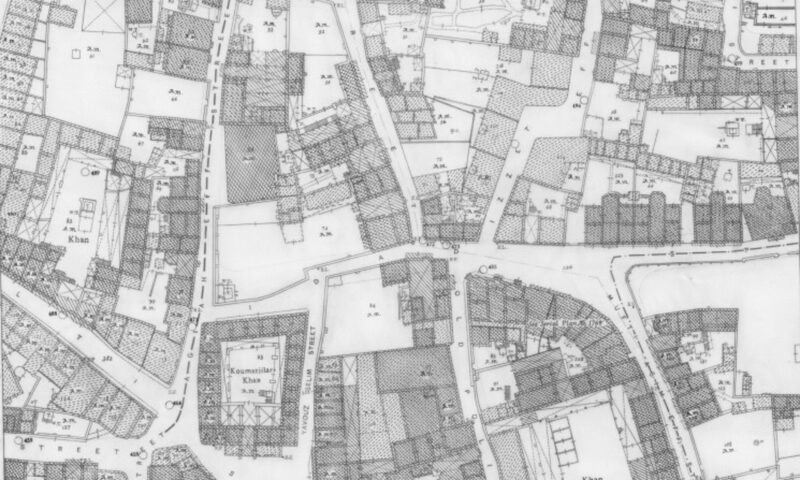 Progress in Planning, 67(3), 205 – 230. Kostof, S. (1999). The City Shaped: Urban Patterns and Meanings Trough History: Thames & Hudson. Kropf, K. S. (2001). Conceptions of change in the built environment. Urban Morphology, 5(1), 29-42. Larkham, P. J. (2006). The study of urban form in Great Britain. Urban Morphology, 10(2), 117-142. Levy, A. (1999). Urban morphology and the problem of the modern urban fabric: some questions for research. Urban Morphology, 3(2), 79-85. Lynch, K. (1984). Good City Form: MIT Press.Noizet, H. (2009). Fabrique urbaine: a new concept in urban history and morphology. Urban Morphology, 13(1), 55-66. Whitehand, J. W. R. (2001). British urban morphology: the Conzenian tradition. Urban Morphology, 5(2), 103-109. Baker, S. (1879). Cyprus as I saw it in 1879. London: Macmillan & Co.
Ioannou, B. (2016). Post-colonial urban development and planning in Cyprus: shifting visions and realities of early suburbia. Urban Planning 1(4), 79-88. Katziaounis, R. (1996). Labour, Society and Politics in Cyprus during the Second Half of the Nineteenth Century. Nicosia: Cyprus Research Centre . Mangoian, L., & Mangoian, H. A. (1947). The Island of Cyprus. An Illustrated Guide and Handbook. Nicosia: Mangoian Bros.
Camiz, A. Bruccoleri, A. (2016) Morphology of the urban organism in Cyprus. The effect of borders and political changes in the fringe belts of Girne, TRNC, in G. Strappa, A.R.D. Amato, A. Camporeale eds., City as Organism. New Visions for Urban Life, (22nd ISUF International Conference, 22-26 september 2015, Rome Italy), vol. 2, U+D editions, Rome 2016, pp. 1481-1488. Nezhadmasoum, S. & Zafer Comert, N. (2017). Historic-geographical and typo-morphological assessment of Lefke town, North Cyprus. Paper presented at the 24th ISUF International Conference, Valencia. Papadopoullos, T. (1965). Social and Historical Data on Population (1570-1881). Nicosia: Cyprus Research Centre. Peto, G. (1927). Malta and Cyprus. Great Britain: J. M. Dent & Sons Lt.
Scott-Stevenson, E. (1880). Our Home in Cyprus. London: Chapman and Hall.Turner, W. (1820). Journal of a Tour in the Levant (Vol. II). London.